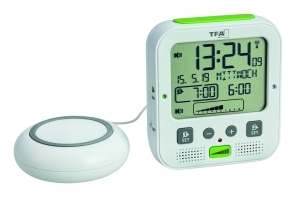 "Good morning, It’s 24 past 10 now"
Ingenious as an everyday help for blind or visually impaired people at home – this alarm clock from TFA speaks with you! 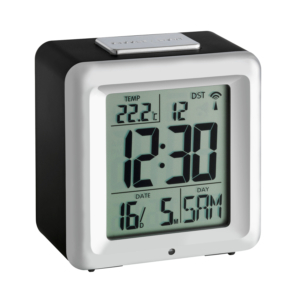 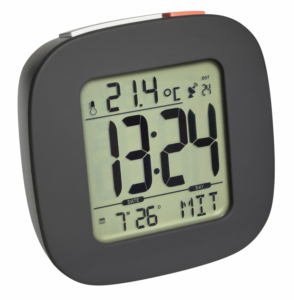 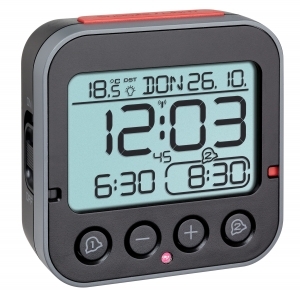 Depending on the setting, it tells you the time very clearly, either hourly or the current time by pressing a button. 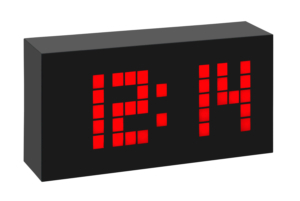 The volume of the announcement can be regulated in two levels. 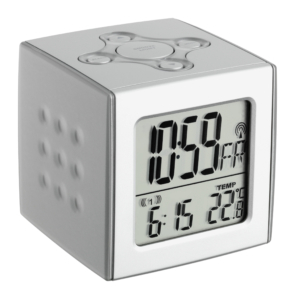 With this precise to the second radio-controlled clock you’re sure to wake up on time and the snooze function allows a gentle waking-up. 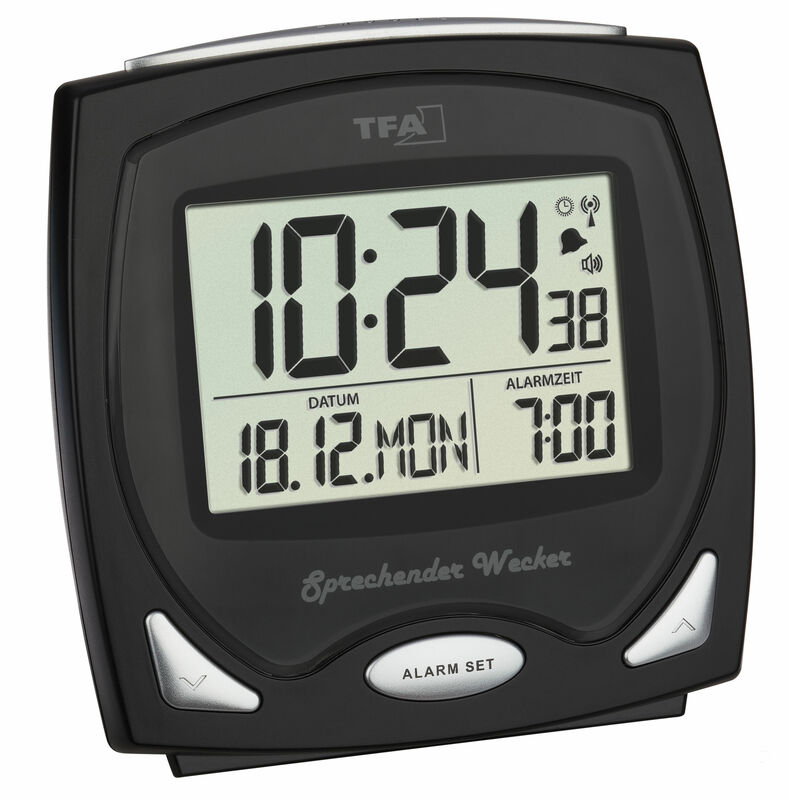 Thanks to German speech output, the operation of the device is easy to master, even for visually impaired people.